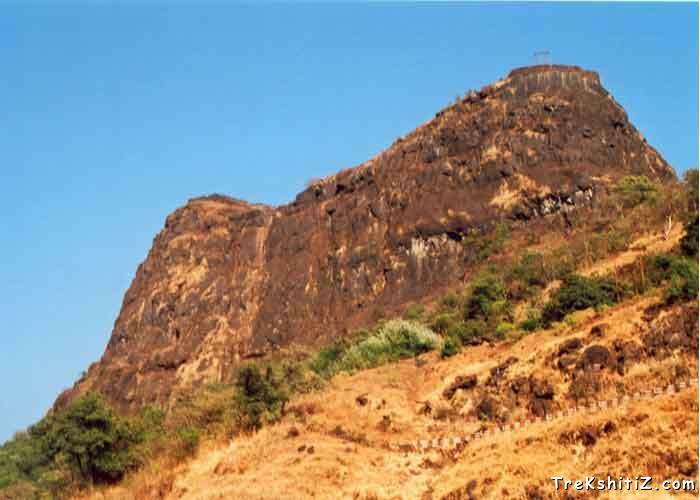 There are many forts in the mountain range nearby Raigad, which mainly includes Lingana, Kaldurg, Songad and Chambhargad. These forts were basically built for keeping an eye on the nearby area. Chambhargad is very near to Mahad. This fort has a relatively smaller plateau. We can see some old structures along with some water tanks. From the structures of the tanks it can be predicted that this fort is relatively old. You can see the entire fort hardly in half an hour. Firstly you have to reach to Mahad. Then you have to cross the Mahad-Poladpur Highway and reach the base village Chambharkhed. It will merely take 20 mins from Mahad S.T. depot. From the Khind or the valley you will reach the top of the fort within an hour. There is no food facility available on the fort. Though there are water tanks on the fort, water is not suitable for drinking. Hence it is always advisable to take water along with you. Merely one hour to reach the fort top from Mahad.